What are digital paper packs? 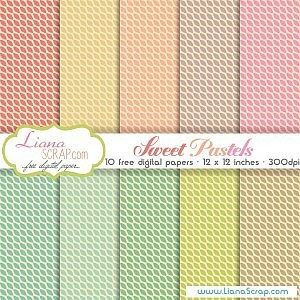 Digital papers are .JPG images that can be used for scrapbooking, cards, photo books, banners, printables, photography, wedding invites, birthday parties, tea parties, floral 3d card making, greeting cards, and much more. All the papers are high quality 300 dpi files, 12 x 12 inches (3600 x 3600 pixels) in size and can be printed. Are the papers from the site free? Yes, everything is absolutely FREE! Can I use your papers for commercial use? Yes, you can use the papers for commercial use but don’t sell them as they are, without any personalization. Can I share your items on my site? No, please don’t share the papers as is on your own site, please redirect people to my site or to my posts. Do not hotlink!